The Shaikh Ebrahim bin Mohammed Al Khalifa Center for Culture and Heritage is pleased to announce the exhibition Bahrain – A Personal Diary. Dedicated to contemporary documentary photography in the Kingdom of Bahrain, the exhibition will feature over 80 works by 20 photographers. The exhibition opens on 17 April 2016 at 7pm at the Bin Matar House in Muharraq. This exhibition is the response to a nation-wide open call to photographers working in the documentary genre. The theme, Bahrain – A Personal Diary, was intentionally general so that it would be accessible and accommodating the widest possible range of artists. Out of a large number of submissions, 20 artists were chosen. Examining anything from local social traditions, to environmental issues and Bahrain’s beautiful landscape, from the Muharraq souq to children playing on the street – these photographs bring us face-to-face with everyday aspects of Bahrain and its culture that we may have come to take for granted. The exhibition was curated by Melissa Enders-Bhatia, head of Art and Exhibitions for the Shaikh Ebrahim Center. Prominent photographer Camille Zakharia served as project adviser. 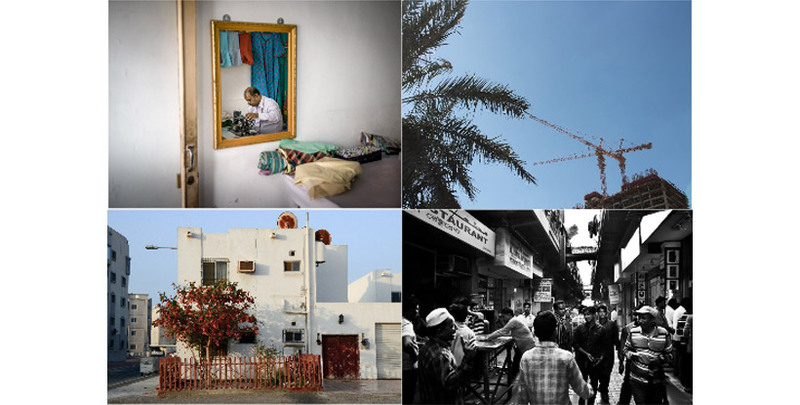 The exhibition Bahrain-A Personal Diary will be held at the Bin Matar House in Muharraq. The exhibition previews on Sunday, 17 April 2016, at 7pm and runs until 12 May 2016. The Bin Matar House is an old traditional Bahraini building and one of twenty houses restored by the Shaikh Ebrahim Center for Culture and Research in Muharraq and Manama, Bahrain. For further information on the Shaikh Ebrahim Center and the Bin Matar House, please visit our website, www.shaikhebrahimcenter.org.